is excited to be in the Lake Bastrop Area. 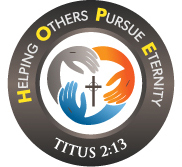 We are a church dedicated in helping others pursue eternity! We’re a diverse congregation that loves God and people! Biblical teachings and gospel exhortations mixed with a host of love is what you will experience at Blessed Hope. If you’re looking for a place to worship where you can experience the power of God without being judged because of dress, tattoos, piercings, or your past life; then Blessed Hope is for you. Growth in your spiritual life is guaranteed!! You will find comfort and liberty in the Word of God, rather than a host of religious traditions of men. Will you join us? We extend a cordial invitation to you and your family to join us in any of our worship services. It's all in the name and carried out through in and outreach ministries. WE BELIVE that the only means of being cleansed from sin is through repentance and faith in the precious blood of Jesus Christ. WE BELIEVE in the sanctifying of the Holy Ghost, by whose indwelling, the Christian is enabled to live a holy and separated life in the present world.